The Tiger Shark is raising the bar in the winch marketplace. 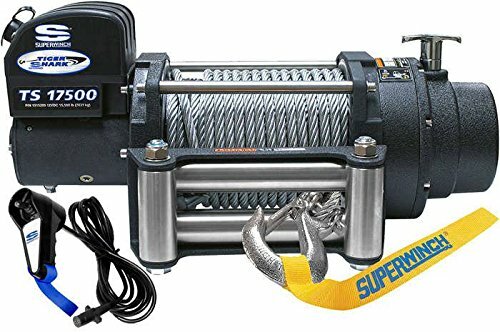 Superwinch is redefining the affordable winch in the market with the new Tiger Shark "standard issue" features and benefits designed for the enthusiast-level consumer. Standard features include stainless steel roller fairleads and hardware, sealed submersible contactor solenoid, severe-duty textured finish that resists the harsh outdoor and off-road abuse, ultra tough 4-stage planetary gear box that handles stress and torque on demand, and the "lift and pull" ergonomic free-spool lever that stops trail debris from activating your winch during vigorous off-road maneuvers.